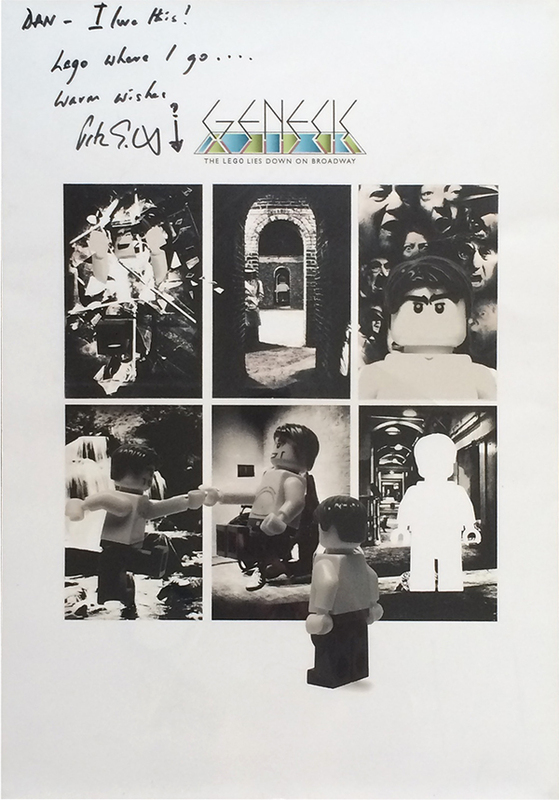 Thanks to Peter Gabriel for signing this Lego Lamb Poster. 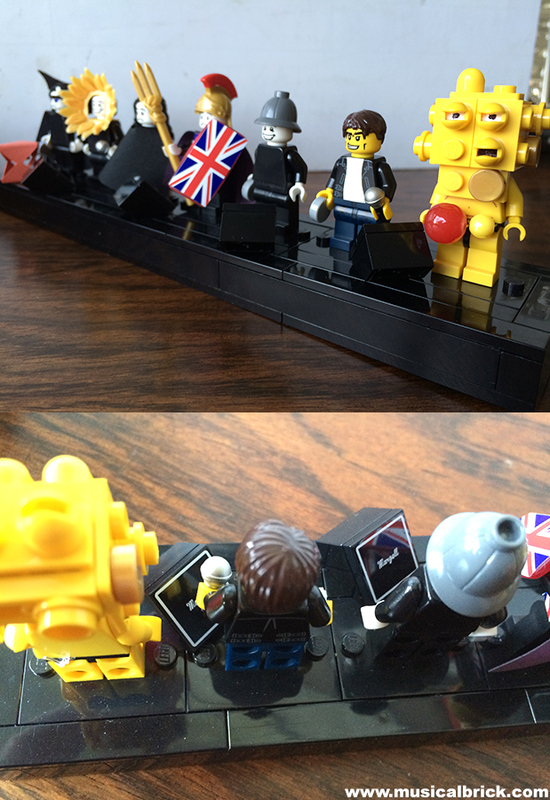 The minifigures are featured on Peter’s official webpage. 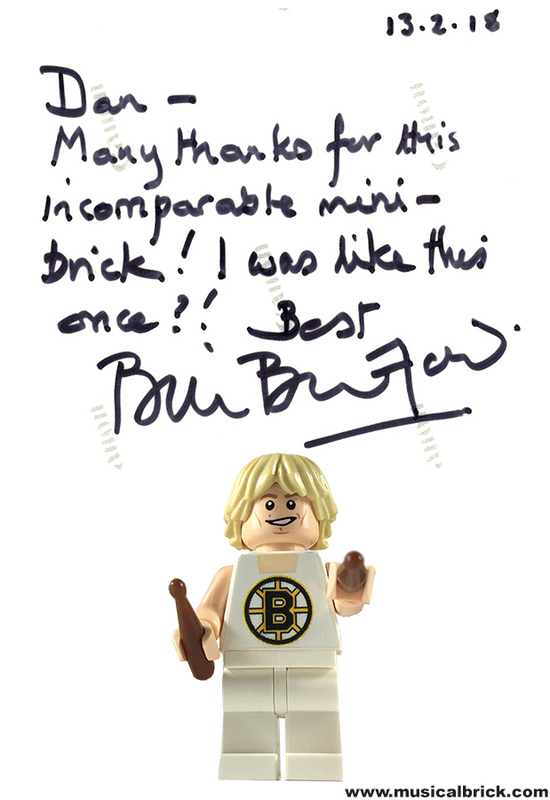 Thank you Phil Collins for signing this postcard. 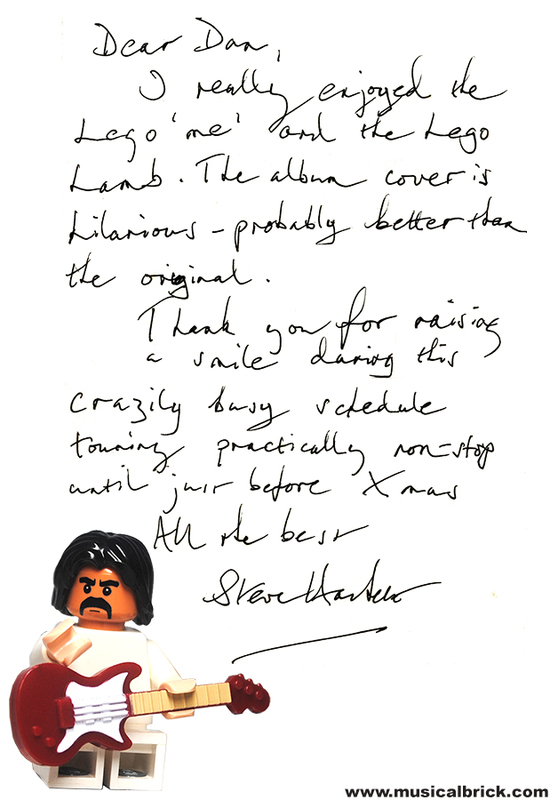 Mr Steve Hackett is a true gentlemen. Thanks so much for the kind words. A warm thank you note from the charming Mr Bill Bruford. A very heartfelt thanks to the wonderful Fish. 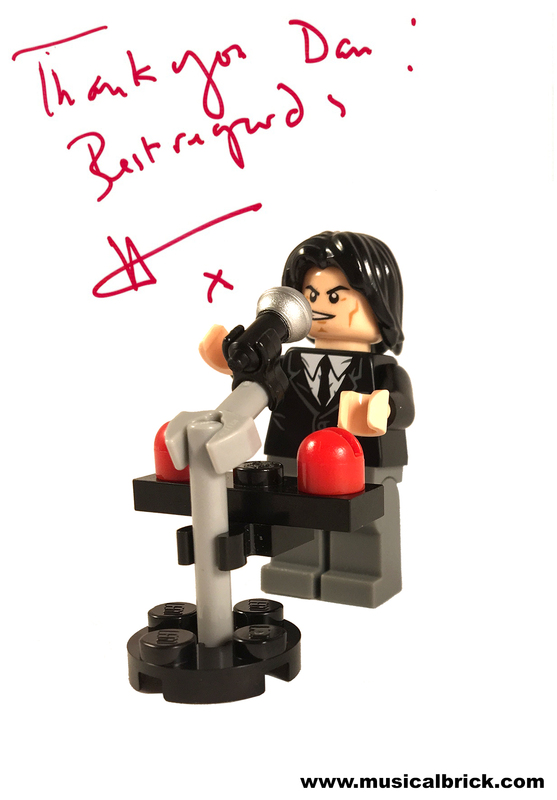 Thanks h (Steve Hogarth – Marillion) for taking the time to reply during your busy schedule. From the ever gracious and supportive Jerry Marotta. Andrew Stanton, the Pixar genius (Toy Story, Finding Nemo), had this Monitor stand built by Angus MacLane. Michael Pellerin, producer and director (The Hobbit and King Kong documentaries), has lit up our stages. 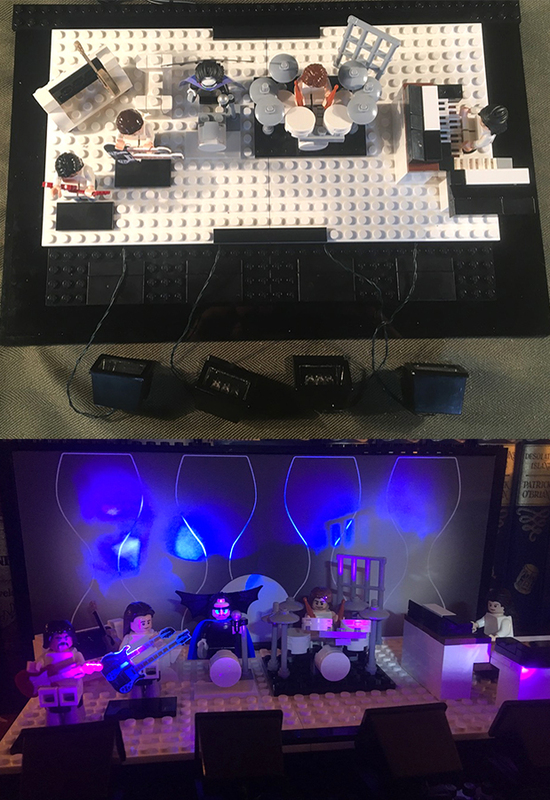 The adventures of LEGO Jerry continue in Toronto with Anthony Rapp and Adam Pascal.